Имате въпрос към Hotel Ganga Monastery? Идеален за развлечения и отдих, Hotel Ganga Monastery се намира в Аси Гхат, който е един от районите на Варанаси. Този 3-звезден хотел е леснодостъпен, тъй като е само на 22. Km от летището. С удобното си местоположение хотелът предлага лесен достъп до всички градски забележителности, които задължително трябва да се видят. В Hotel Ganga Monastery отличното обслужване и достъпните съоръжения допринасят за Вашия незабравим престой. Хотелът предлага достъп до широк спектър от услуги като 24-часов рум-сервиз, безплатен WiFi достъп във всички стаи, 24-часова рецепция, съхраняване на багаж, Wi-Fi връзка в общите части. Влизайки в една от 12 уютни стаи, ще забравите за ежедневния стрес с помощта на удобства и съоръжения като телевизор с плосък екран, достъп до интернет (безжичен), безжичен интернет достъп (безплатен), стаи за непушачи, климатик в някои от тях. Освен това в хотела можете да се възползвате от множество предложения за приятно прекарване на свободното време. Hotel Ganga Monastery е добър избор за всички посетители на Варанаси, защото предлага спокойствие и безпроблемен престой. I booked this hotel purely for view and I wasn't disappointed. Delux suits offer very beautiful view of river. 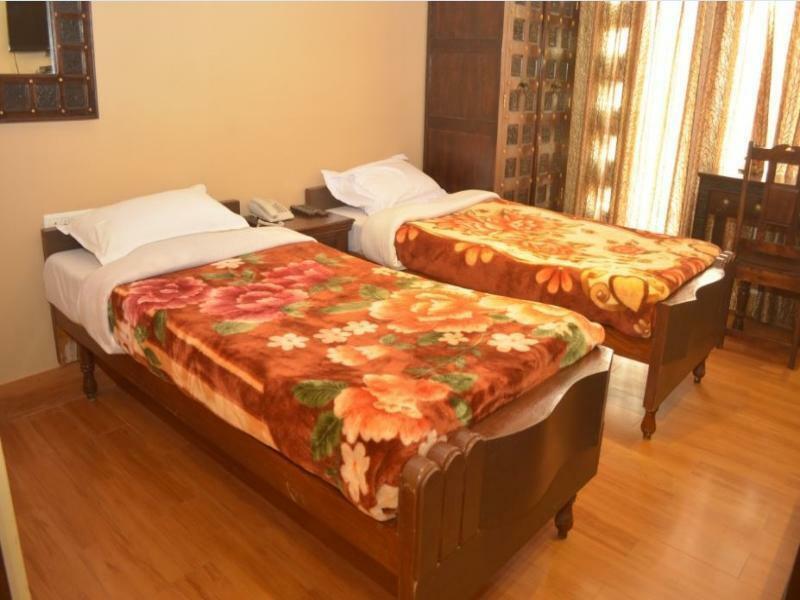 The hotel is ok overall with all basic amenities. staff was helpful. Value for money. Friendly staff. Not as nice as they want it to look in Agoda. Not bad but not good enough for the money. Room was full of mosquito. Air-conditioning blew hot air all night. The power went out frequently and when it did the fan made a awful loud noise. Poor night sleep. Happy with the hot water and bed was comfortable. Sadly the blanket made my skin itchy. Low season, so Varanasi quiet, hot but good AC in hotel, and a good discount for very nice rooms. 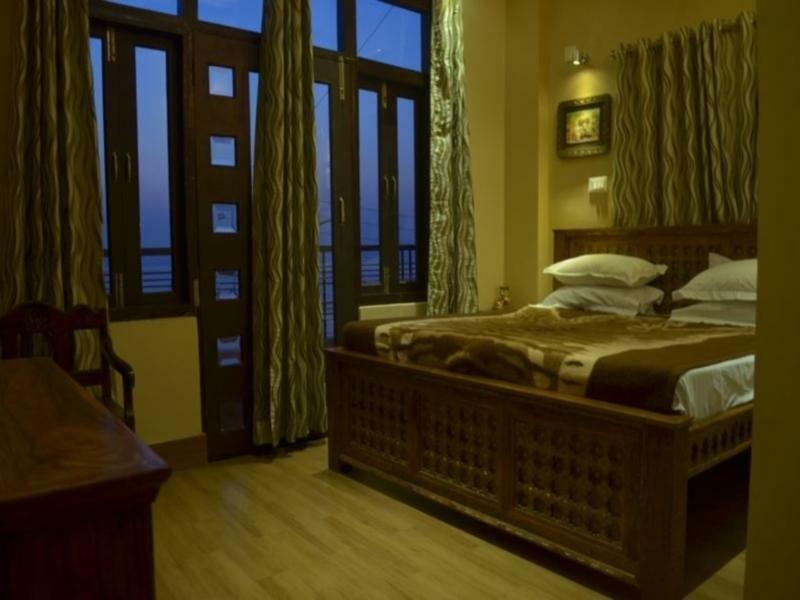 A beautiful location with view of Ganges from room's window. Evening, they drive the buffalo's and cows to river to bathe so there's lots of mooing and grunting at the water front. right outside- lovely. 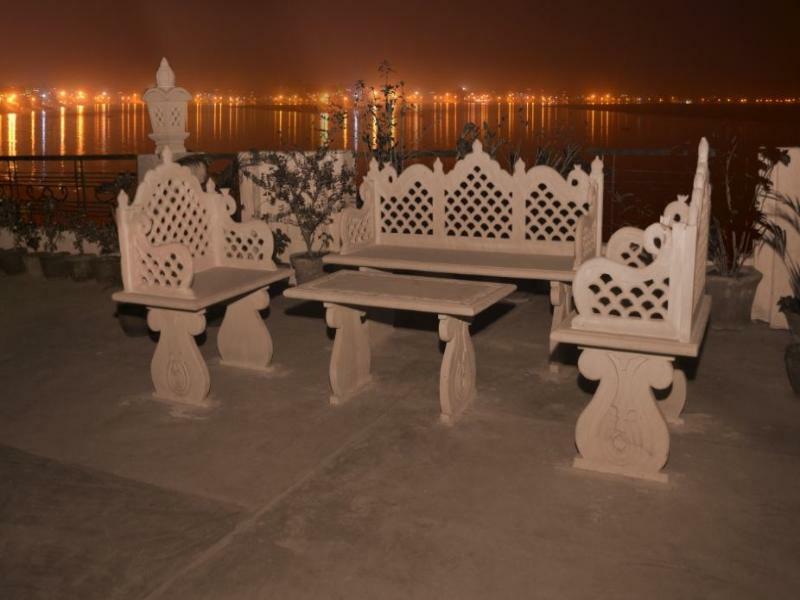 Restaurant is on terrace with view of Ganges- you can go up and see the sunrise. Mr Amit the guide at the hotel had great English and was very gentle and kind. He took us to the temple of the poet Kabir, and also shopping. He arranged for a rowboat so we could see the activity at the ghats and helped us with meals and airport transfer. Mr Patel, the manager at the hotel was also helpful and gentle and attentive. A great stress reliever after a week of doing too much. i can say just fantastic experience to stay in ganga monastery!!!! Awesome view! Very friendly and helpful environment, food is good, I had very spiritual experience while sitting in shivas temple which was in the campus of ganga monastery from where we had enjoy very stunning view of river ganga......!!!!!!! 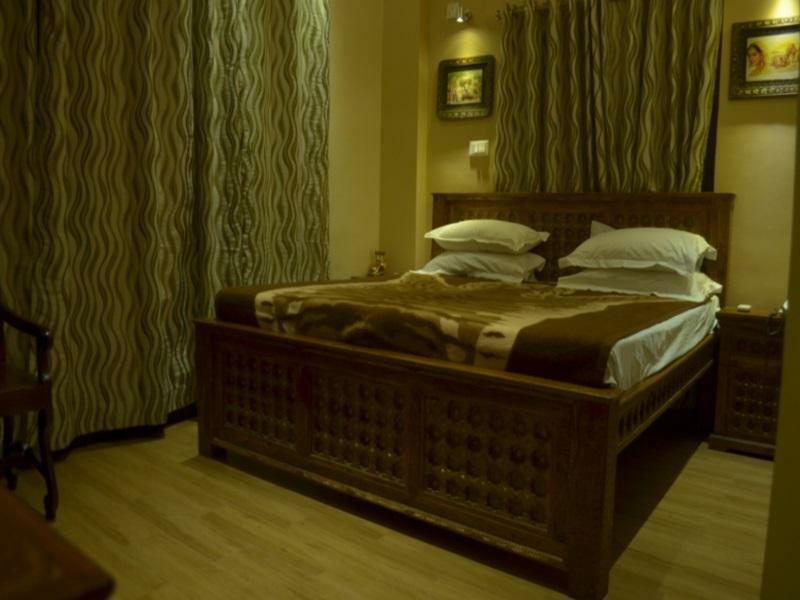 Best place to stayed in India in Varanasi lovely room with the best view of Ganga. The staff of this hotel very friendly and helpful . The food was awesome with best view of Ganga , & especially the sunrise view from the bed that's really marvellous ! Next time I will definitely plan to visit Varanasi again & stay only here! Went with my parents for visiting temples .... Hotel is on river bank very nice view and calm place ..... Hotel arranged for our temple visits and beautiful evening boat ride for evening ceremony..... Visited sarnath as well on the recommendation of hotel.... We were not aware about the place but when visited felt like heaven there.... Thanks a lot Mr. Pankaj for your cooperation and advice ..... Will come and meet you all again..
best hotel in varanasi for ganga view , room was very clean , AC and wifi is working very well. staff was very helpful and friendly , food was excellent. best part is ganges view , we was see the sunrise from our room. and very quite place . highly recommended . locaction at ganges was really good. It was all about selling tours, tours, tours and tours. Before checkin the started to make sales pitches and that continued over our stay despite the fact we early pointed out that we already booked our tours with another company. Food in restaurant were decent hindi food and all had to be booked in advance which wasnt very fun. The only advantage this hotel have is the location which is nice with the ganges view and the five minute walk to assi ghat. my stay at the Ganga was horrible. no heating and no hot water. I don't know who rated this hotel. it's a guest house and not a hotel. this is very misleading. staff is very unprofessional and not helpful. The staff was excellent at the hotel, yet we were in Varanasi at the end of December and it was extremely cold in the evening with heavy fog. There is no heating in the hotel, it was so cold in my room that I had to sleep fully dressed, with a fleece jacket and a ski cap. The hotel must provide heat during the cold months. Just south of Assi Ghat. This is a quiet area. Good for sleeping but downside is that it's too far from main road. A 10 min walk required to catch a rickshaw or visit a restaurant. Good rooftop and nice staff though. The break fast is a big mishap , only bread omlet served only once . The employees are not at all trained . They are not aware of how they should speak to a guest. When we requested some thing they asked to come and collect from reception. Long way to go in Terma of training of staff. Who in the world Said this hotel is 3 star . It is 1 star . No power back up for ac . Low season, so Varanasi quiet, hot but good AC in hotel, and a good discount for very nice rooms. A beautiful location with view of Ganges from room's window. Evening, they drive the buffalos and cows to river to bathe so there's lots of mooing and grunting at the water front. right outside- lovely. Restaurant is on terrace with view of Ganges- you can go up and see the sunrise. Mr Marit the guide at the hotel had great English and was very gentle and kind. He took us to the temple of the poet Kabir, and also shopping. He arranged for a rowboat so we could see the activity at the ghats and helped us with meals and airport transfer. Mr Patel, the manager at the hotel was also helpful and gentle and attentive. A great stress reliever after a week of doing too much. be careful, don’t accept free town guide by staff, he will try to take you to some places at outrageous price. Отседнахме 4 вечер/и в април 2014 г.